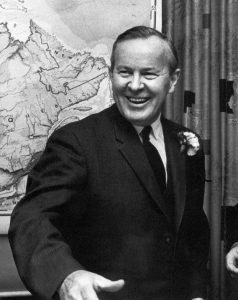 The year 2017 is a special one for Pearson College UWC as we celebrate the 60th anniversary of the awarding of the Nobel Peace Prize to our inspiration and namesake, Lester B. Pearson in December 1957. Planning for events and activities to mark this important milestone is underway and will be announced when final details are confirmed. Other Pearson anniversaries this year included the 120th anniversary of Mr. Pearson’s birth, which we celebrated on 23 April to honour the memory of this humble but remarkable man. The entire campus community turned out to celebrate and share a massive chocolate cake in the dining hall! 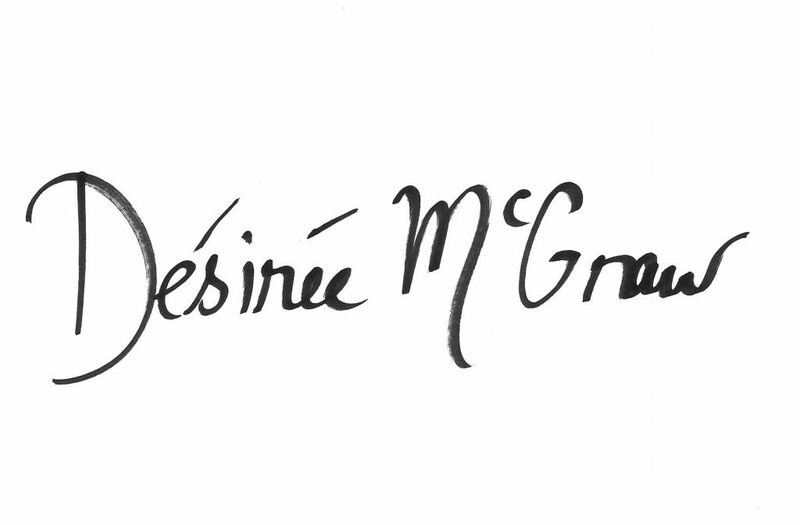 Throughout the year, we will be introducing our students and the wider Pearson community to material that highlights the life and accomplishments of this consummate diplomat, public servant, statesman, and the face of Canada to most of the world for two decades. He was a scholar, teacher, a skillful politician, an accomplished athlete, and a devoted husband and father. A complex and very human man, he was a soldier in World War I who became one of the 20th century’s most renowned peacemakers. As the month of April concluded with National Volunteer Week, I would like to add my deepest appreciation and thanks to the many hundreds of people who have freely given of their time and wisdom over the years to volunteer with Pearson College UWC and with the entire UWC Movement. These amazing volunteers help to enrich the Pearson experience for student, alumni and adult communities through their service and dedication. On the evening of 12 April, before all members of the campus community, a very meaningful moment of reconciliation with local Indigenous communities took place. 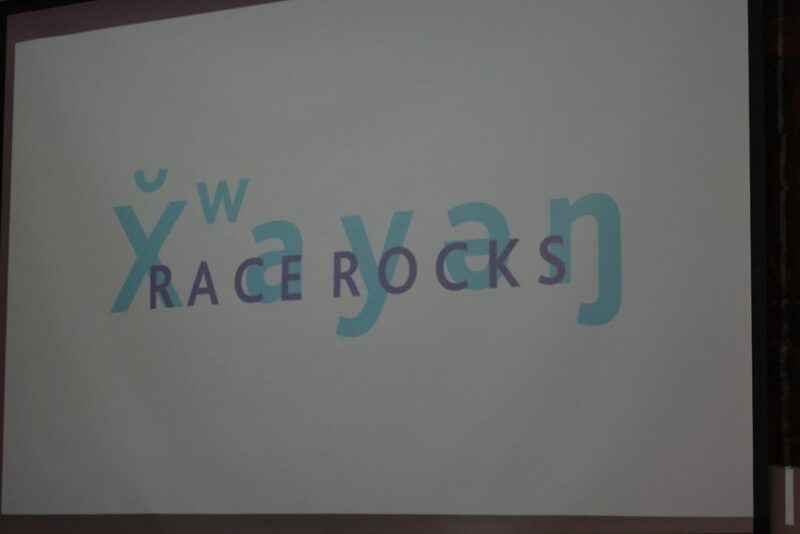 Two decades ago, the College, which was built on the traditional territory of the Scia’new (Beecher Bay) First Nation, used the SENCOTEN language name for Race Rocks — X ay n — without proper permission. We formally apologized to Scia’new community member Dennis Charles for use his family’s name for the islands. 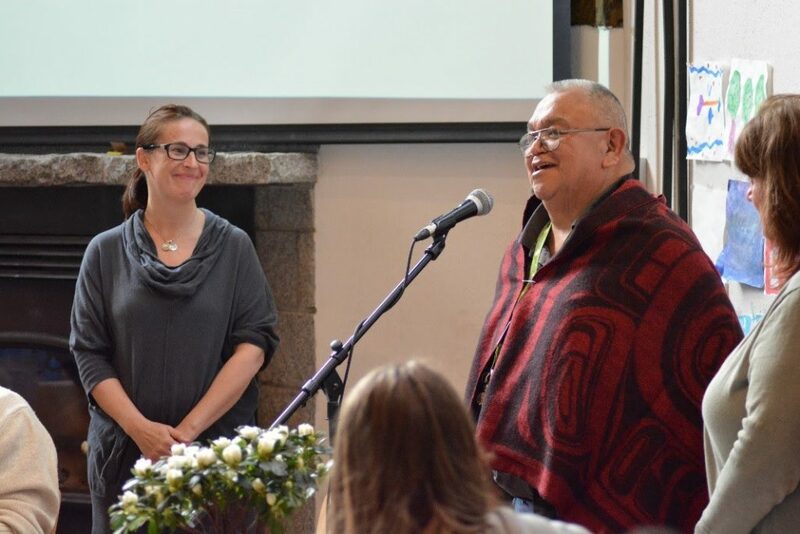 After a short ceremony featuring Year 43 students Becca Unger and Yousra Alfarra, Mr. Charles accepted our apology and graciously granted the College permission to use the Indigenous language name. We accepted with humility and gratitude. This was only the most recent step in Pearson College UWC’s road to reconciliation with Canada’s First Peoples. There will be many more steps taken along this path, another of which will be to offer a full Pearson scholarship every year to a deserving youth from a First Nation in the region. Stay tuned from more details on this initiative. It’s hard to believe that the end of the academic year is fast approaching! The IB exam period got under way on 27 April, with the last one scheduled for Friday, 19 May. After a closing ceremony and house clean-up, all students will leave campus on 22 May. I want to extend to all second-year students my best wishes as you undertake this final stage of your time here at Pearson. As we all prepare for year-end, I salute the many student-led initiatives of the past months, starting of course with the spectacular One World Performance and Expo. Check out our Facebook page where we recently started posting highlights of this year’s performance, culminating with a video of the entire show. The Expo was a welcome new addition to showcase our students’ commitment to community-building work locally and across the globe — and a fine complement to the on-stage spectacle. It’s not too early to think about One World 2018! Please, save the date – 16 and 17 March 2018 at the McPherson Playhouse in Victoria. 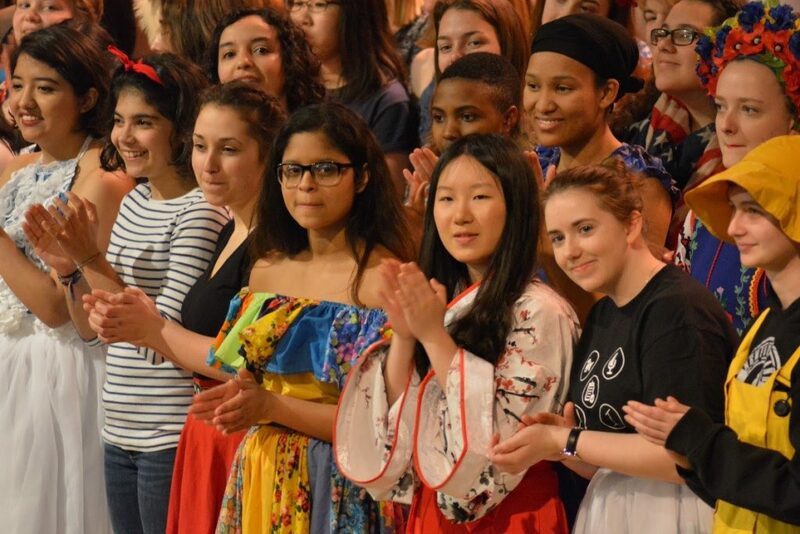 Shortly after the downtown show, Pearson students performed excerpts of One World at the McConnell Theatre on campus. The event was a special reprise for the community and Pearson Board of Directors to coincide with their annual on-campus meetings. Another amazing production by our Pearson students – it received a well-deserved standing ovation with many in the audience delighted and impressed by both the talent and depth of passion on display. Our two College Poetry Slam Teams – Natasha, Kirsten, Shamim, Tazi, Dina, Tomma, Adi, Maya and Denise – placed high in the final round of the “Victorious Voices” youth poet showcase in mid-April, and wowed the audience with their brave and heartfelt poems. A night of inspiration, thanks to all the youth participants and faculty members, notably Paul Faber, who shepherded these spoken word artists. In my January Update I mentioned that I first came to Pearson back in 1987 at the end of the nine-month cross-Canada SAGE (Solidarité Anti-Guerre Etudiante) tour that I and three friends undertook. Thirty years later, on 24 April, my friend and intrepid SAGE colleague, Seth Klein, visited our campus. Seth, who is now B.C. Director of the Canadian Centre for Policy Alternatives, gave an insightful talk entitled Hope Amidst the Politics of Fear. The talk drew students and adults from both the school and the region, and was followed by an animated question and answer period. As the provincial election campaign in BC got into full swing, another student-led initiative provided a unique opportunity to observe Canadian democracy in action. On 25 April, Pearson College UWC hosted an all-candidates forum for our riding (voting district) of Esquimalt-Metchosin. The event, which was open to Westshore and Esquimalt community members as well as Pearson’s Canadian and International students, served as a reminder that Canadians 18 years or older are eligible to vote in this election, a “Canadian Elections 101 Short Course” for all Pearson students and as an important demonstration of how our school plays a role in local community engagement. As an alumna and later, judge of Model UNs, I am particularly happy to note that, following the successful participation of Pearson students in the 16th annual Vancouver Model United Nations on 20-22 January, the team that participated in the Shawnigan Model United Nations over the 7-8 April weekend brought home five awards! Representing various countries and influential individuals, they debated topics ranging from, “the social, economic and political future of Canada” to “illicit arms trade over the past century.” Our namesake, Mr. Pearson, would be very proud of you! While I have spent much of my time recently on campus, I did have the opportunity to speak to two groups of remarkable young people. In early March, I was the keynote speaker at the Young Quebecers Leading the Way Forum in Gatineau, Quebec. Celebrating the 150th anniversary of Canadian Confederation, the Forum’s third and final year (2017) was centered on Canada’s future. The timing of the Forum enabled me to witness the amazing celebration of Daughters of the Vote and share the occasion with Mary Gao, Pearson College UWC alumna (Year 41), representing the riding of Calgary Heritage. The 338 House of Commons seats were, on that day, occupied by diverse young women representing all voting districts in Canada. I was deeply moved to bear witness to this historic gathering in Canada’s Parliament. During that same week, VP Advancement and External Relations Dan Hurley and I were in Ottawa for productive meetings with parliamentarians, ministers and senior civil servants, including three of our distinguished alumnae: Lori Sterling (Year 2), Deputy Minister of Labour and Associate Deputy Minister of Employment and Social Development; Marta Morgan (Year 17), Deputy Minister of Immigration, Refugees and Citizenship; and Danielle White (Year 17), who now serves as Director General of the Reconciliation Secretariat at Indigenous and Northern Affairs Canada. Dan and I also attended a reception with participants of the Forum for Young Canadians. Meetings like these are important in helping to generate greater awareness of the College’s role in providing an education based on peace, understanding and sustainability to young people in Canada and around the world. 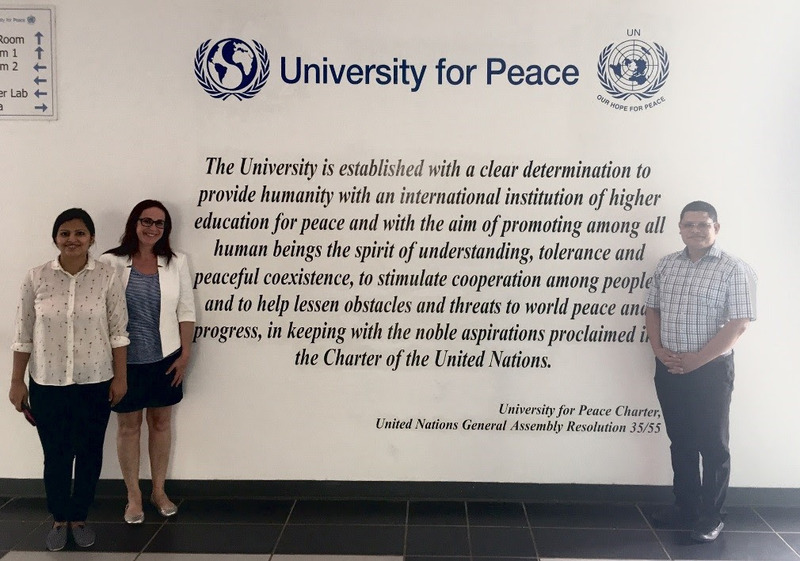 More details on greater cooperation between UPEACE and all UWC institutions will be announced shortly between UPEACE and UWCCR to encourage a closer relationship to help both institutions reach their common objectives. (signing of a Memorandum of Understanding, (UWCCR). I was also invited by Professor Manish Thapa to address graduate students of the UN University for Peace (UPEACE), also in Costa Rica. On 1 April, I was very happy to witness the signing of a Memorandum of Understanding between UPEACE and UWCCR to encourage a closer relationship to help both institutions reach their common objectives. More details on greater cooperation between UPEACE and all UWC institutions will be announced shortly. Maxim Wieser who leaves Pearson on 3 May to take on a new position with the Ci2 Group. Max joined Pearson’s Information Technology department five years ago and most recently served as IT Systems Administrator. Laura Milligan who departs on 5 May to begin a new role as Manager of Donor Relations at the United Way of Greater Victoria. Laura has served as acting Manager of Annual Fund and Stewardship since last spring replacing Carly Milloy who will return from parental leave on 6 June. Luisa Vasquez who began 24 April as acting Alumni Relations and Engagement Officer (filling in for Julia Norman who is on parental leave until May 2018). Chris Blondeau, our former director of operations is no longer an employee of the College. We thank Chris for his many contributions to Pearson College UWC over his 20-year career and wish he and his family every success in the future. As you may recall from my earlier updates, the College embarked on an important initiative to ensure the continuing health, safety and wellness of the Pearson community. We asked an independent expert to review and report on existing policies and student complaint procedures to ensure they met the highest standards of transparency, accessibility, effectiveness and fairness in the educational sector. The findings showed that our existing policies and complaint procedures are largely consistent with best practices among similar institutions. A number of recommendations for improvement in certain areas to improve policies and procedures were also made and we are continuing to review and implement these. To facilitate this, independent consultant Pat Patton is working with faculty and staff to update existing policies and draft original ones to ensure our commitment to health and wellness remains among leaders in the education sector. Looking Forward – Summer Programs and More Students! After a rainy and an unusually snowy winter for the West Coast of Canada, we are all looking forward to a warm and sunny summer. 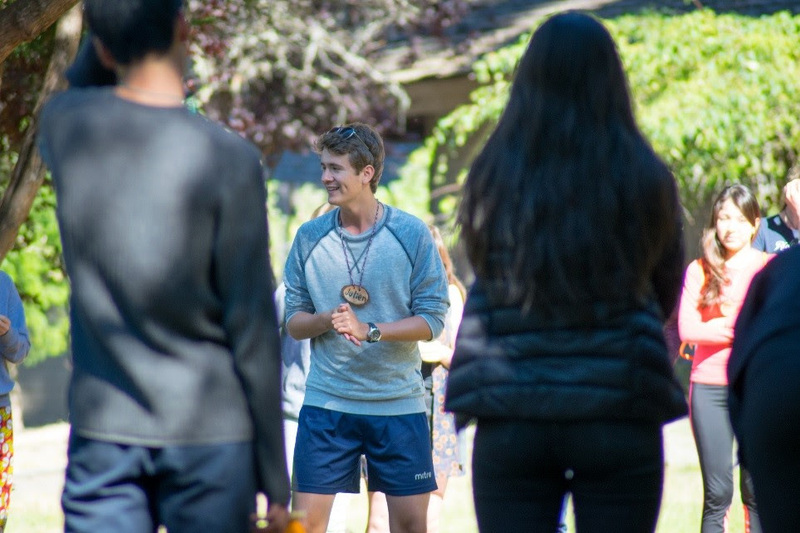 One of our summer program highlights is PSYL – the Pearson Seminar on Youth Leadership – that attracts young leaders from around the world in grades 10-12 (or equivalent) to an intensive and interactive three-week on-campus experience. 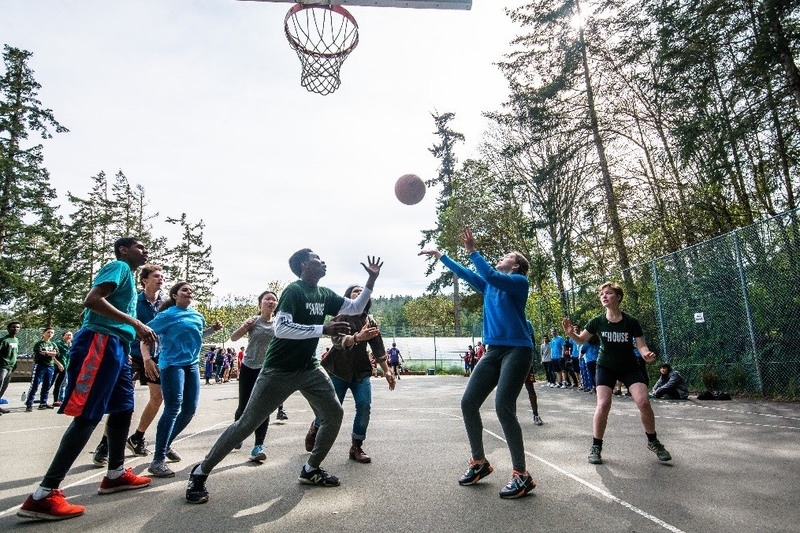 A unique blend of outdoor and indoor learning opportunities, PSYL focuses on building skills that young people need to become community and world leaders. Of course, we always look forward to the return of our friends from MISSA – the Metchosin International Summer School of the Arts – for two weeks of intensive workshops for artists in June and July. MISSA draws adult students from across Canada and around the world. After a successful first year, the Summer Program for English Language Learning (SPELL) will welcome its second group of approximately 15 College students in mid-August. Led by Dani McArthur, Library and Learning Support Coordinator, the group will spend 10 days together in English classes and other language-support activities designed to enhance their confidence and basic language skills before they enter the regular academic program in September. We are also looking forward to late August when we will welcome the arrival of Year 44 students. 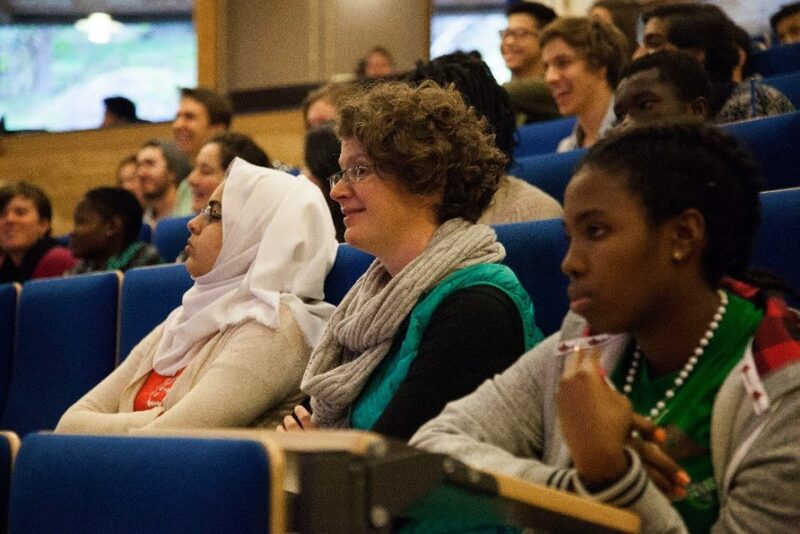 The new first-year cohort will be 100 students strong – 20 more than the previous year!. This is the first step towards returning to a complement of 200 students in 2018. With this in mind, I am happy to report the highly-anticipated renovations to House #2 (Japan House) are nearing completion to welcome students for the new academic year. Most recently, a durable metal roof has been installed, as well as a number of interior refinements to improve both the comfort level for students and the building’s energy efficiency. We post periodic updates on the refurbishment of House #2 on our social media pages – visit our Facebook page to keep up to date. In closing, I encourage all of you to consider supporting Pearson’s annual spring appeal which this year is focused on growing financial support for learning outside the classroom (Experiential Education). Thank you to everyone who has financially contributed to the College this year – your generosity is deeply appreciated. For those considering making a donation, I invite you to check out our online donation page. You can earmark your donation for a special project or programming dear to your heart, whether it supports education directly or indirectly through infrastructure. I also would like to give you a sneak peek at new partnership we have forged with Aeroplan through HigherEdPoints that will enable friends of the College to directly support future student scholarships by quickly and easily donating Aeroplan points. Watch for more details on this initiative in the near future. Don’t forget to stay up to date with Pearson College UWC on our social media pages, including Facebook, Twitter and Instagram. In the meantime, I wish everyone all the best in these final days of the 2016-17 academic year.